The days when all of your company’s data stayed on your premises are long gone. Digital Transformation is changing the game. Tools to increase productivity, specialist apps to perform HR or Finance functions, collaboration sites to communicate with your customers, are all much easier to set up and use in the cloud. People want to work on the road or at home. Smart phones, tablets, laptops have created new ways to communicate and work. Interactions between users, devices, apps and data are becoming more sophisticated. The pace of change creates many challenges for IT. Traditional ways of looking at security don’t hold up in a modern environment, where people want to use their own device and sign up for their own services. You can lock this down – force people to only use company equipment and services -but the job of IT is to enable, not to prevent. And the cloud isn’t going to go away! 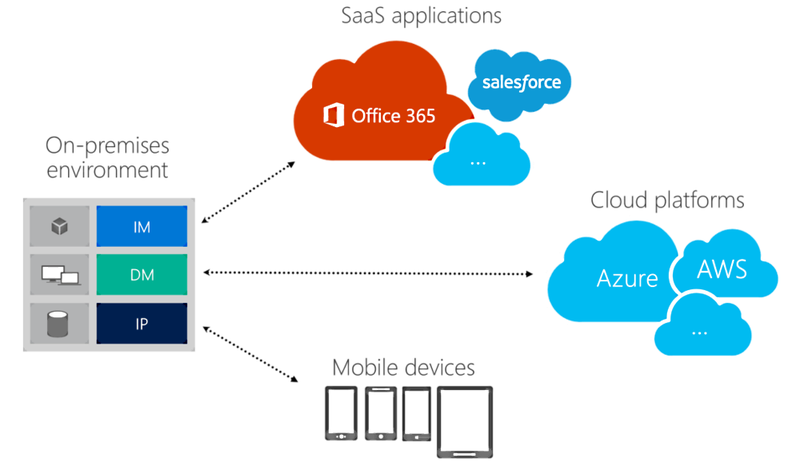 Microsoft Enterprise Mobility & Security is a comprehensive solution designed to fix this problem. It enables you to re-engineer how security works, and take back control of your company’s data and devices in a way that is more secure than it was even when everything was controlled internally. It can also significantly simplify your infrastructure and maintenance. When everything was stored on your own hardware, things felt safe. Feelings can deceive, though. One thing that I’ve learned over many years of consulting is that people will do whatever they need to get their job done, and if IT stand in their way, they will “over-rule” in the interest of doing their job, circumventing controls that have been put in place. Not long ago a multi-national client tried to give one of our consultants a laptop containing a complete marketing database because IT wouldn’t allow him access to the test environment! Personal Dropbox accounts are endemic. People email themselves documents to work on at home. Project files are kept on USB drives. Often a blind eye is turned, as there is an implicit realisation that people just need to be able to get to documents when and where they need them, otherwise the job doesn’t get done. 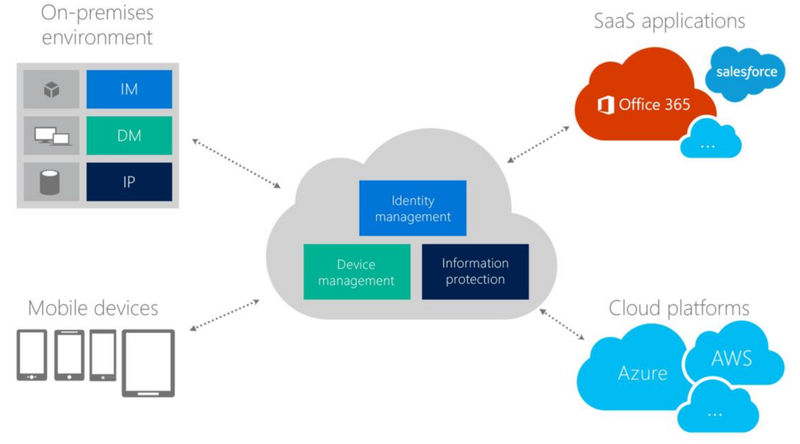 Traditional on-premises environment – identity management, device management and information protection are done entirely in an organisations on-premises environment. As cloud services became more prevalent, organisations have begun to embrace these services. Initial reticence over security has been assuaged, and the benefits of being able to provide complex tools without buying in-house skills to install and maintain them have become widely accepted. VPN technology has allowed users to connect to internal systems. This allows users to do what they need to do, but the job of the IT pro has become much more complicated. Data is now living in many different systems, which all need access controlling and auditing. These systems often (or ideally) need to communicate. Cybersecurity attacks are growing more sophisticated – if you allow people to connect in through a VPN, or connect your servers to cloud systems, you immediately have new access points to secure. The on-premises solution can’t solve all of the challenges raised by the modern world. And it is to address this that Microsoft has created Enterprise Mobility and Security. 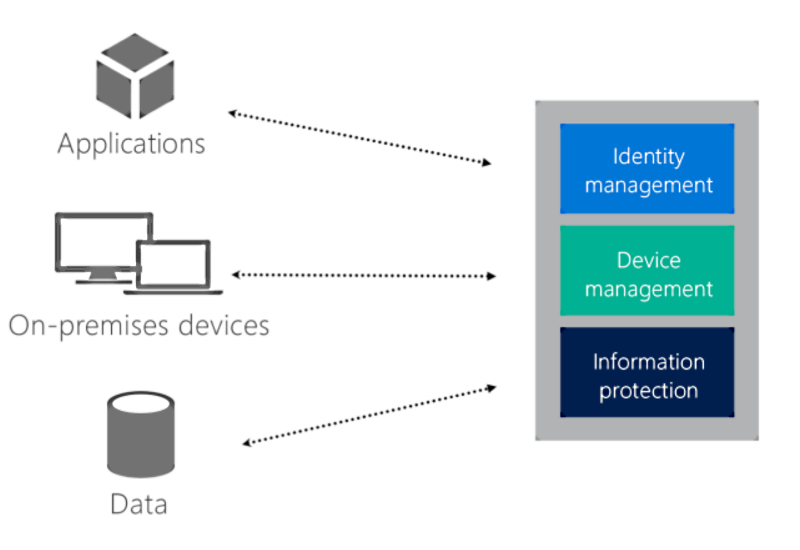 The components in EMS provide tools for managing Identity, Devices and Information Protection in the cloud. Because they live in the cloud, they are able to connect all of the services that you need to use under a single security umbrella – constantly maintained and updated by Microsoft security experts. Users have a single identity to access all of the services that they use, so you can monitor activity and more easily detect suspicious activity. Access to all services can be granted or revoked based on location, device or time – protecting you from malicious use. And because these services are tightly integrated with productivity tools that you use every day, such as Office 365, you actually gain tighter control and security without having to impose complex processes or change the way that people work. next post: SharePoint: A Jack of all Trades?